Long black hair wig. Finishing touch to any Native American Wig. One Size fits most. 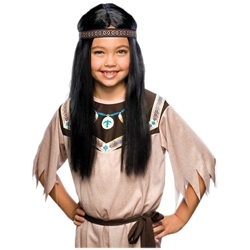 A great wig for Pocahontas.